Does anyone know of James Smith? 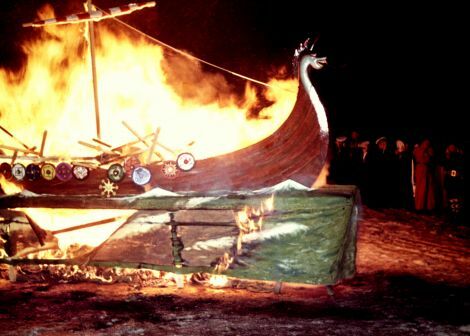 JANUARY’s Junior Up Helly Aa festival is going ahead in its current format and will not include girls from the Anderson High School as was hoped for by some members of the community. Following speculation last year, the organising committee said it would discuss whether the festival should change to allow girls to participate. An appeal for applicants to form squads published on Facebook at the weekend was however only addressed to boys. In a statement issued by the committee in response to an enquiry from Shetland News, a spokesman said that a meeting to evaluate last year’s festival and plan for the future had taken place. “At this meeting it was decided that the junior festival will continue in its current format,” the spokesman said. Cathy Hallett receiving retirement gifts from museum curator Ian Tait. A LONG-serving member of staff at the Shetland Museum and Archives has been recognised after she retired last week. Visitor services assistant Cathy Hallett had worked at the museum since it opened in 2007, when she welcomed Queen Sonja of Norway, Prince Charles and Camilla Parker Bowles to Lerwick. 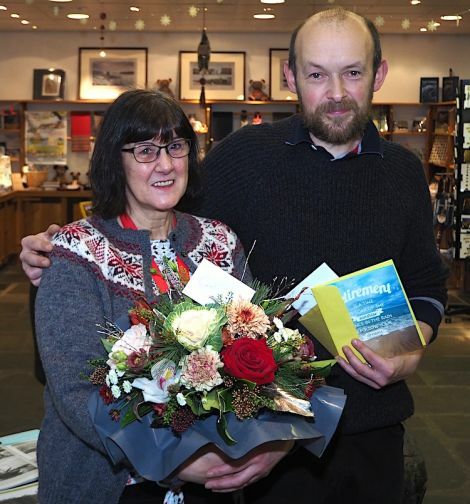 The museum has also seen visitor services assistant Trevor Jamieson and collections assistant Laurie Goodlad leave recently, with the latter becoming the new editor of Shetland Life magazine. Cathy said: “My favourite part of the job has been working with such a wonderful team of people who are so passionate about Shetland’s heritage and in helping people to engage with it. Shetland Amenity Trust chairwoman Ruth Mackenzie added: “Cathy, Trevor and Laurie have contributed so much to the museum over the years as part of a fantastic team.